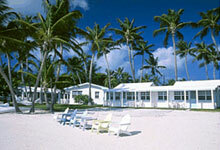 Certified as a Florida Keys Superior Small Lodging ! 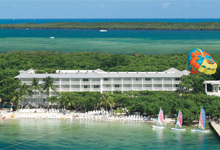 Hilton Key Largo Resort is nestled along the southern boundaries of the Everglades National Park, Hilton Key Largo Resort offers inspired accommodations for business and leisure travel alike. Treat yourself to true tropical- island paradise, where memorable experiences await. Located three miles from downtown, and less than one hour south of Miami, our exotic Key Largo hotel and resort offers extensive nature trails, a private white- sand beach, exciting water sports, and unparalleled sunsets. 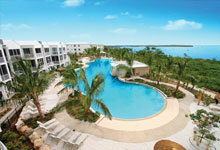 See pictures of our waterfront pool and sunset deck ! 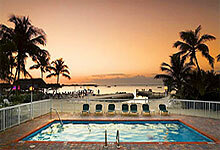 Bayside Inn Key largo hotel is located on a beautiful stretch of the Florida Bay in the heart of Key Largo. 56 elegantly appointed studios or one bedroom suites situated around a private beach with two jetties, new complimentary fitness center, heated waterfront pool and on-site restaurant. The suites have kicthens and we are pet-friendly. Come visit ! 2 pools, jacuzzi, exercise room and more! 132 tropical rooms with coffee makers, hair dryers, voice mail, refrigerators, HBO and guest choice movies. 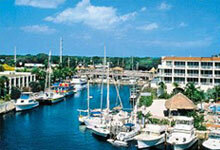 2 heated pools with cascading waterfalls, boat rentals & deep sea fishing, wave runners, diving & sunset cruises. Also: over 4,000 square feet of banquet & conference facilities. Our pool is truly spectacular - see picture on our website. Home of the original "African Queen" boat. Each unit has a private deck !! On-site owners Carol and Mike Shipley are great people who provide you with the total "Keys experience". Centrally located between Key Largo, the diving capital of the world and Islamorada, the sports-fishing capital of the world. From our resort, it is easy to enjoy these as well as all the other activities and points of interest the Keys have to offer. If you prefer to "do nothing" on a vacation, grab one of our beach chairs and simply enjoy our view of the beautiful Florida Bay. Relax in paradise on a private island, in a luxury villa or little cottage. Browse our special places, decide on the dates you can get away, and you are almost here! We offer waterfront and other properties in Islamorada, Tavernier and Key Largo, as well as the incredibly luxurious Casa Aqua on Cudjoe Key. Visit our Vacation Rental Section, Residential and Commercial Properties Sections of our web site to find your short term or long term paradise. Nestled in a deep-water marina on the first of the fabulous Florida Keys adjacent to the Florida Keys National Marine Sanctuary and John Pennekamp Coral Reef State Park. 37 deepwater boat slips, heated pool, jacuzzi, tennis courts, and more. Bogie's Café is open daily for breakfast, lunch and dinner and features Keys favorites in a lush garden setting. 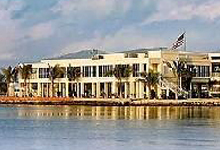 On-premise Coconuts Night Club features lunch and dinner choices, waterfront dining, and also nightly live entertainment and a full liquor bar. 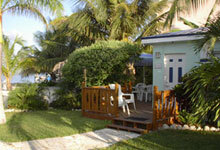 Beautiful private oceanfront resort - book online! Here you’ll find a collection of charming Key West style town homes designed to compliment our colorful marina setting and laid back island lifestyle. Choose from 1, 2 and 3 bedroom floor plans. Our units include Italian tile floors, vaulted ceilings, Jacuzzi tubs and much more. Amenities include a 45 slip deep water marina, (dockage and dry boat storage available), fitness facility, heated pool, lighted tennis courts and complete harbormaster services. Fishing and Diving Charters available. A beautiful place to stay - book DIRECTLY with Marriott! 153 oversized rooms, including 20 deluxe two- bedroom suites with wrap-around balcony. Units have full kitchen and living room,. Breathtaking waterfront views in a new and fresh setting. Lagoon pool, fitness center, fullservice day spa, voice mail and dataport phone in rooms, Wreck room for the kids and much more. Family owned and operated for 25+ years, this is a uniquely original and nice resort. Our AAA-approved accommodations offer a variety of clean, comfortable rooms, efficiencies, family apartments and beachfront cottages to accommodate singles, families and large groups. 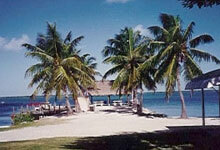 We offer three tropical acres, and a private waterfront with a 110 foot dock.